I'm blogging from my office in Vista ... where I am visiting for the day. No, I'm not "back" yet - have six more weeks of vacation left - but decided to go down for the day, check in with everyone, and say "hi" to my friends. I'm happy to report the business seems to be doing just fine without me. And that's a good thing - it means when I do go back, I can focus on new stuff without getting too caught up in the day-to-day execution. Parsing the Internets, I can't believe how consistently President Obama is being criticized, by his former supporters as well as longtime opponents. The new theme seems to be that not only are his policies not working, but he isn't willing to change. How ironic is that? [ex-Obama supporter] Dave Winer: Who cares if the stock market crashes? "I think Obama has been pretty close to a disaster." Me too. [ex-ace conservative blogger] Steven Den Beste: What does Obama want? Short answer: to be reelected. Longer answer same as short answer. These riots in London are scary, particularly because there doesn't seem to be an underlying reason for them. A bunch of people have figured out they can riot and loot and the police can't do anything about it. Yikes! Cycling fans take note: Mark Renshaw signs with Rabobank. Striking out on his own, after being Mark Cavendish' leadout man at HTC-Highroad, I wish him well! 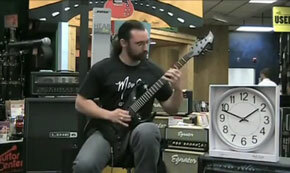 This is awesome, you must check it out: The world's fastest guitar player. Flight of the bumblebee at 600bpm. You can barely hear the notes - wouldn't call this my favorite rendition - but it is impressive. So: Facebook gets into texting game with Facebook messenger. Kind of like Apple getting into it with iMessage, but different. I guess everyone can see messaging is a killer app, but this is a massive network effect; hard from anyone - even Facebook or Apple - to compete. Facebook is outwardly compatible with SMS, but still, I predict general yawning. 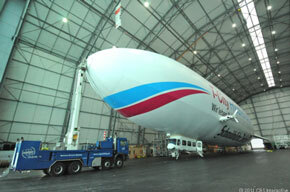 A most excellent photo essay: Where Zeppelins are born. I don't know if they make economic sense as vehicles, but they're photogenic!